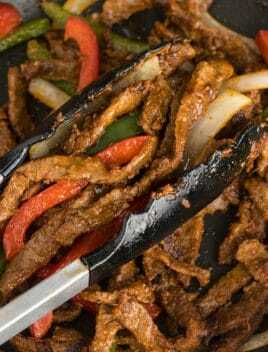 The best, quick and easy steak fajitas recipe, homemade with simple ingredients in one pot or pan over stovetop. 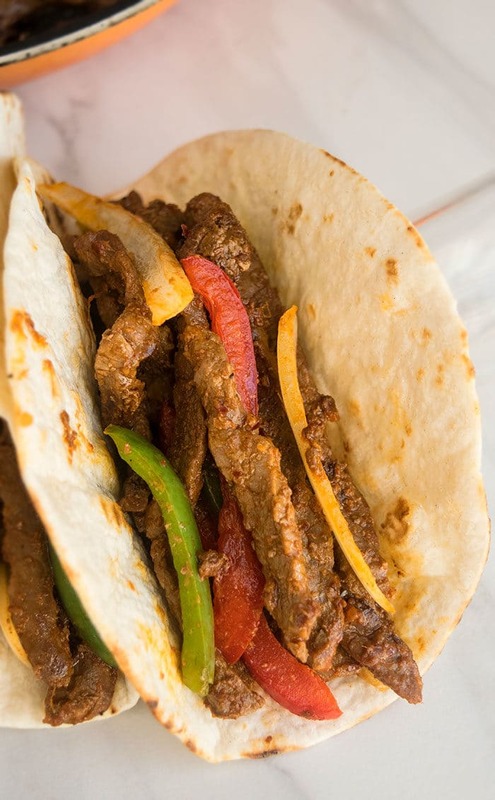 This 30 minute meal is loaded with Mexican flavors, tender steak, peppers and onions. This can also be grilled or made in a sheet pan in the oven. If you like Mexican dinner recipes like this Mexican Shredded Chicken (One Pot) or these Chicken Fajitas (One Pan) or these Vegetable Fajitas (One Pan), you are going to adore today’s recipe. How to make steak fajitas? Add steak and sprinkle spices (chili powder, paprika, garlic powder, onion powder, cayenne pepper, cumin powder, cornstarch, salt, pepper). Add peppers are onions until beef is cooked through. What is the best steak for fajitas? Skirt steak is best but many people also like to use flank steak or sirloin steak. It’s a personal preference. Just make sure they are thinly sliced, against the grain. What sides to serve with steak fajita recipe? Typically, it’s served with hot or soft tacos. 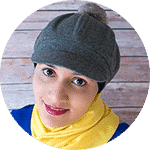 Some people also enjoy it with rice and beans or cilantro lime rice or even pineapple rice (especially if you fond of the sweet and spicy flavor combination). The seasoning is made by mixing together chili powder, paprika, garlic powder, onion powder, cayenne pepper, cumin powder, salt, pepper. The marinade is made by mixing together all those ingredients plus 1-2 tsp lemon and an additional 2 tbsp oil. Marinade the beef for at least 30 minutes up to 1 hour. Both can be used on chicken and shrimp as well. Guacamole– Homemade or store-bought both work well. Salsa– Another classic topping. You can make it at home or buy it from the market. Use nonstick pot or pan– That’s because this prevents sticking and burning, especially since you are cooking on high heat. 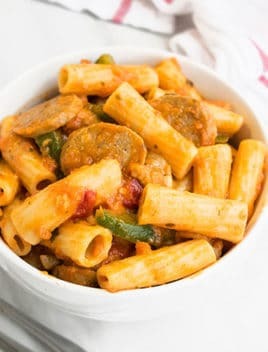 Add peppers and onion near the end– Because this prevents them from becoming too soft and soggy. You want them to be tender but firm. Adjust the amount of spices– This can be done, based on your preference. Always check the flavors near the end and adjust accordingly. Use thin slices of steak, peppers, onions- Because they cook faster and the flavors gets absorbed quicker too. Can I use taco seasoning for steak fajitas? Yes, it works very well and I have used it successfully in the past. It can be homemade or store-bought. 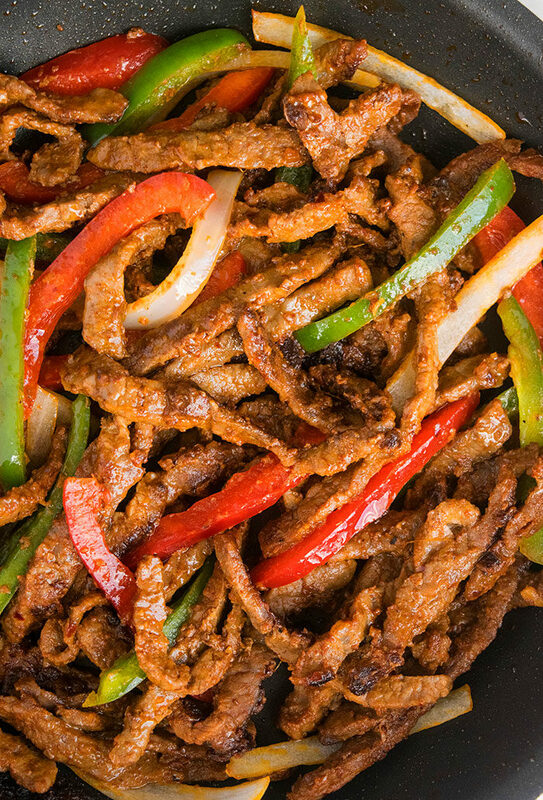 How do you keep fajita meat tender? Slice it against the grain! This is very important because you cut through the muscle fibers and shorten them, making it easier to chew. Also, use thin slices. Furthermore, be very careful not to overcook the beef because that will make it very tough. Lemon juice vs. Lime juice- Use whatever you like or whatever you have on hand. They both have a slightly different flavor and does have an impact on the overall flavor. Make slow cooker fajitas- Add all the ingredients, along with a 15 oz. 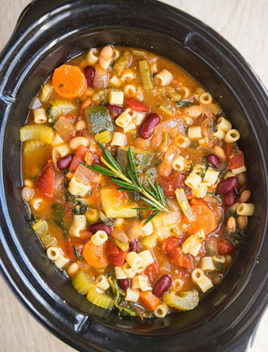 can of diced tomatoes with green chiles in a crockpot. Cook on Low for 6 hours or High for 3-4 hours. I still prefer my stovetop version much better because the meat has a better texture. What to do with leftovers? Use them in grilled cheese sandwiches, quesadillas, salads, pasta and even pizza toppings. Quick and easy steak fajitas recipe, homemade with simple ingredients in one pot/ pan. 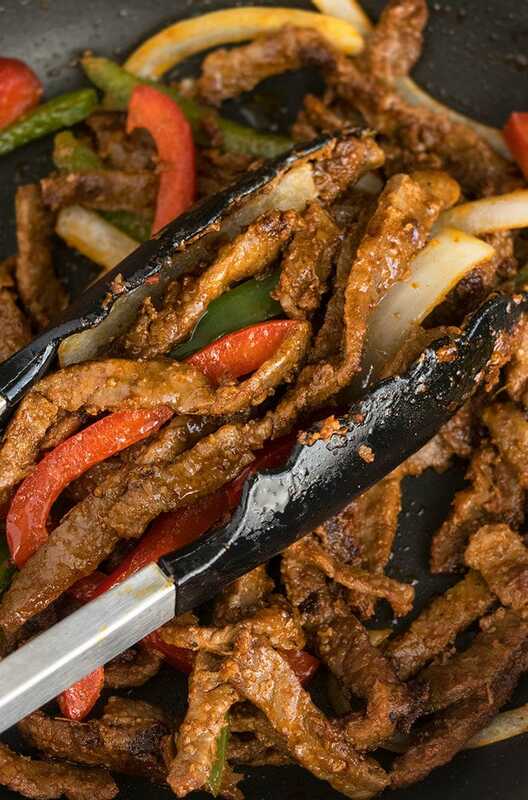 A 30 minute meal with Mexican flavors, tender steak, peppers, onions. 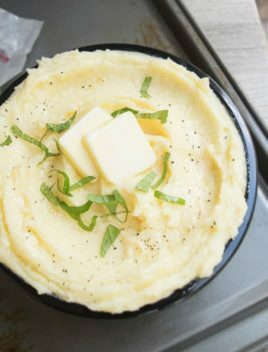 Heat butter and oil in a nonstick pot or pan over medium-high heat. Add steak and sprinkle chili powder, paprika, onion powder, garlic, cayenne pepper, cumin powder, cornstarch, salt, pepper and mix everything together. Saute for about 2 minutes or until steak slices are slightly brown and no longer pink and raw on the outside. It won’t be fully cooked through! Add red pepper, green pepper, onion and saute everything until steak is cooked through and vegetables are tender. Turn off heat. Pour lemon juice and toss everything together. Garnish with cilantro, if you like. Serve in hard or soft tacos and enjoy! 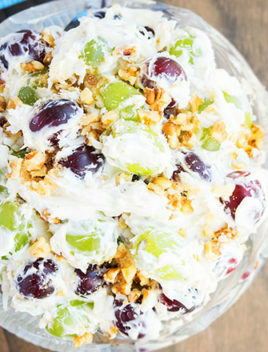 Tastes best when served immediately but leftovers can be stored in a sealed container in the fridge for up to 3 days.